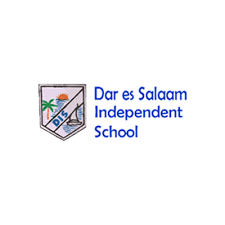 Home / JOB VACANCY / EMPLOYMENT OPPORTUNITIES FOR TEACHERS AT DAR ES SALAAM INDEPENDENT SCHOOL. DEADLINE FOR APPLICATION IS 18TH, JANUARY 2019. EMPLOYMENT OPPORTUNITIES FOR TEACHERS AT DAR ES SALAAM INDEPENDENT SCHOOL. DEADLINE FOR APPLICATION IS 18TH, JANUARY 2019. At least five years of teaching experience. Please deliver your applications to the school office in Mikocheni. The applications should be addressed to Mr. Antipas Chale Quality Assurance Manager.